SHREE Swami Samarth Hospital is one of the leading centres in Vidarbha which treats 70-100 per cent heart blockages non-surgically. 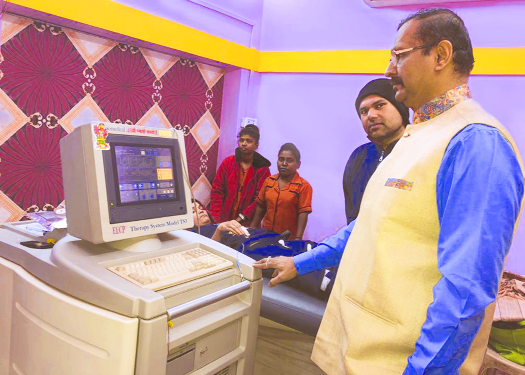 The hospital has two latest advanced enhanced external counterpulsation (EECP) TS3 machines which are a great boon to treat all heart patients. EECP is a simple process in which the patient undergoes one hour daily for 35 sessions. Many critical patients having 80 per cent to 100 per cent blockages have been successfully treated non-surgically with 90 per cent success ratio in avoiding angioplasty and bypass. Interested may contact Dr Pradip Patil at 57-B, Ring Road, opposite SBI, Trimurti Nagar (Phone numbers: 7083493268 / 8390381479).